Activities At Lake Camanche Recreation Area – Hiking, Movies, Boating, Fishing And More! 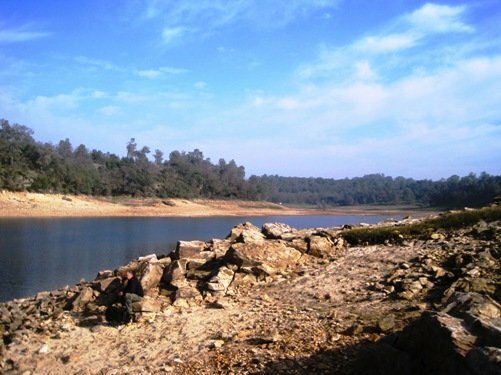 Aside from camping, the Lake Camanche Recreation Area offers a variety of fishing, boating, and other outdoor activities for all ages. FISHING – Best known for great bass fishing, Lake Camanche is also a favorite spot for trout anglers; with the large trout pond at the South Shore serving as a perfect place for children to cast their reels. Shoreline access is available to anglers at both shores; there is shoreline access upriver as well, but only available by boat. Between the months of October and June, Lake Camanche is stocked with 90,000 pounds of trout; 20,000 lbs are planted in the lake at the end of October, followed by 10,000 lbs each month thereafter until the following May. The trout found in Lake Camanche come from the Mokelumne Fish Hatchery, just a few miles away, as well as from the Mt. Lassen hatchery in Paynes Creek (about 2 ½ hours north of Sacramento). 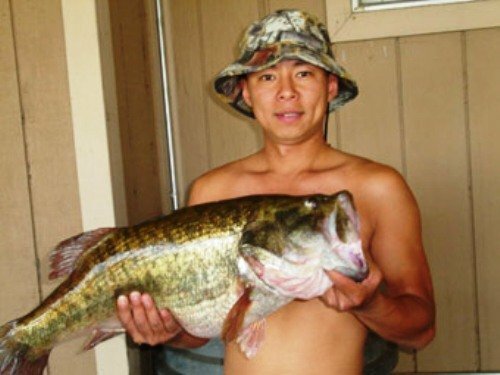 Each year there is also the planting of a highly unique Florida-strain largemouth bass. The Lake Camanche fish plants are funded by the East Bay Municipal Utilities District in cooperation with the California Department of Fish and Game. Other species of fish found in Lake Camanche include bluegill, catfish, crappie, kokanee, large and small mouth bass, rainbow trout, spotted bass, and sunfish. Each angler must pay a fishing access fee of $4.00 per day, 100% of which is used to fund the lake’s fish stocking program and help improve each visitors over all fishing experience. All fisherman aged 16-years and older are also required to have a valid State Fishing License; both daily and annual Licenses can be purchased at the lake’s marinas. Be sure to heck out the Current Fishing Conditions at Lake Camanche Recreation Area before you go. Enter the Lake Camanche Fishing Photo Gallery HERE, and you can check out the standing Lake Records HERE. People sure have caught some big fish! BOATING – Unless designated at otherwise, Lake Camanche is a full-body contact lake, with a variety of family-friendly water activities available. Marinas are located on both the North and South Shores with eight-lane launch ramps, berthing, storage and rental boats [rates here], as well as on-water fueling facilities; covered slips are available on a short-term and annual basis. Each shore also has a General Store stocked with groceries, snacks, beverages, bait and tackle, and general camping and fishing supplies. In an effort to provide the most enjoyable experience for beach goers, Lake Camanche has a 5mph speed limit within 200 feet of shore. The lower end of the lake has wide-open geography, perfect for riding personal watercrafts, wakeboarding, waterskiing, and enjoying other towables. The upper end of the lake, east of the narrows, is reserved for those interested in a quieter boating experience. No personal watercraft or towables are allowed in this area and speed restrictions are strictly enforced. Please note that there is NO LIFEGUARD ON DUTY and all water activities are done at your own risk. 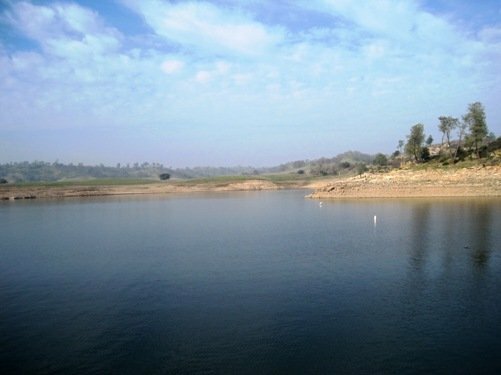 Lake Camanche offers year-round boat storage as well. HIKING AND MORE – There are a number of scenic hiking and equestrian trails in and around the North and South Shores. Each trail takes you along rolling hills and through several oak groves. A trail use permit is required and may be purchased at either gate. For additional fun in the sun, tennis, basketball and volleyball courts are located on both shores, as are playgrounds for the kids. Movies are back at Lake Camanche’s South Shore! Starting Memorial Day weekend & running through Labor Day, movies are shown on Saturday nights at the outdoor amphitheatre, across from the Gold Run campground. Movies begin at twilight/sunset, and are free to attend. Visit http://camancherecreation.com/hours/fees.php for more information on fees including 6 month and 3 month passes, as well as 5-Use Punch Cards. This entry was posted on Saturday, August 13th, 2011 at 5:06 PM	and is filed under Nearby Attractions. Both comments and pings are currently closed.